With millions worth of investment on the horizon having filed to go public in May, the future looks bright for GoPro, the makers of the widely popular Hero action camera. Although the GoPro Hero 4 has yet to get an official release date, fans are already weighing up what they’d like to see from the new model expected to hit stores this year. Unfortunately there were no major improvements to framerate and resolution between the 3 and 3+, so the pressure is on for GoPro to deliver this time around. Thankfully all signs point to solid advances in tech, as it’s strongly suspected that their relationship with Ambarella will continue with the Hero 4. The a7 chip was included in the Hero 3, so it’s only logical that the new a9 chip would power the next generation. What this means to the end user is 4K Ultra HD video at a smooth 30fps, full 1080 regular HD at bullet-time 120fps, and 240fps for 720p video! What this also means is the long awaited addition of Electronic Image Stabilization. Despite being marketed as the ultimate action cam that can capture footage in all kinds of extreme environments, previous models were still plagued with the dreaded shakiness associated with much cheaper handhelds. The likes of the Sony HDR are far superior in this regard. With a dual-core 1GHz processor these last few irritations can easily be fixed. Other expected features include 13 megapixels for still photos, and RAW image compatibility so photographers can choose their own compression. 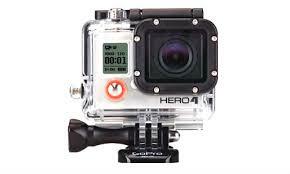 Advances in the camera technology itself is not the only exciting news about the GoPro Hero 4. Several accessories are in the works that will completely change the way we approach amateur filming. One of the drawbacks of the action cam is that unless you give it to a friend, most footage is from the first person perspective. Granted you can strap it to head gear or other equipment, but you’re never going to get those panoramic shots seen in the Hollywood movies. Two crowd-funding campaigns will change all that with cutting edge autonomous drone technology. 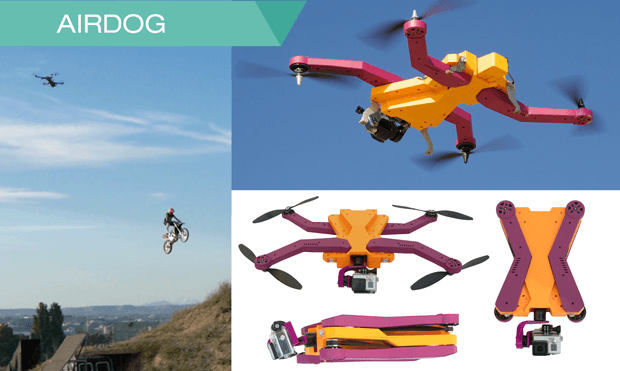 The AirDog and Hexo+ are small flying drones that take your cam and capture aerial footage of the action below. What sets these apart from your typical remote controlled drones, is that they follow you automatically! With a combination of pre-programming and their ability to lock on to sensors that you wear on your person (AirDog) or simply your iPhone (Hexo+), they will smoothly follow your every move, creating a whole new creative avenue for filmmakers.